Coconut oil has grown in popularity over the last few decades as a supplemental product with health benefits. It has a long list of beneficial uses for both internal and external means- and can be found in many household cupboards and bathroom cabinets. 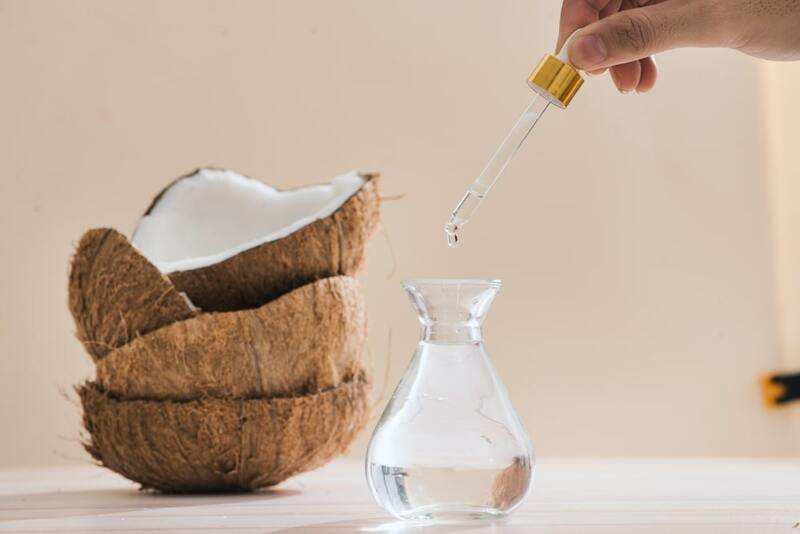 The benefits of coconut oil for hair are overwhelmingly positive in nature, as many hair care products now use this oil in their ingredients. You don’t have to cut into your health and beauty budget, however, to reap the various assets of the oil. Although it is a commonly found ingredient in high-end, quality treatments, you can get the same result by using it as a stand-alone choice. You can include it in your regular hair care regimen as well or even when you start your own DIY creation. Is Coconut Oil Good For My Hair Type? Coconut oil is extracted from various ways from the meat and kernel of a mature coconut. Oil from the kernel is also known as copra oil. Because of the high saturated fat content, it is resistant to spoilage and has a 6-month or longer shelf life. This makes it a popular ingredient in many different applications as it serves as a natural preservative, plus the beneficial antibacterial and antifungal properties make it a sought after choice for many topical applications. It also has many benefits and uses when ingested in moderation. The unusually high amount of medium-chain triglycerides or MCTs are difficult for the body to convert to stored fats- making it an alternative to other fatty bases in baking and cooking. Care should be taken when eating coconut oil as it still is pure fat and very high in calories. More information on this can be read in the article: Coconut Oil Usage Guide. What is so nice about this oil is that it can be used as a stand-alone, can be mixed to make salt and sugar scrubs (see our own Honey Lavender Vanilla Sugar Scrub recipe), blends with essential oils, can be added to shampoos and conditioners, and serves as a carrier for other oils and ingredients. It can be used as a liquid or a solid since it melts as it warms (as it gets above 75 degrees Fahrenheit), or it can be purchased as a fractionated oil- meaning many of the saturated fatty acids have been removed to keep it in a liquid state. 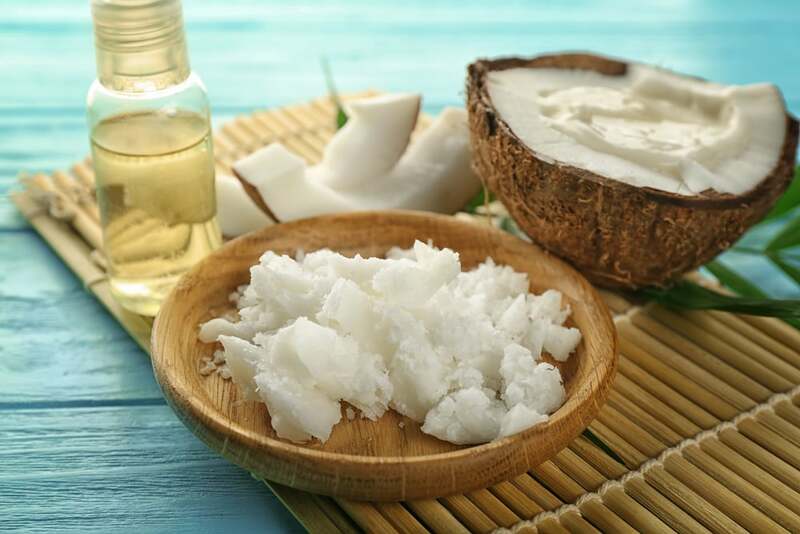 Coconut oil is extracted in various ways through a variety of methods. It’s because of these methods that yield the many different names you may notice the oil is labeled as. Organic and virgin oils are those that have been left fairly intact through extraction and processing. More processed oils lose their natural colors and scents, as well as more than a few of their benefits. In this process, the coconut meat is boiled in water which allows the oil to separate and float to the surface. It then can be skimmed off as it cools to be used. This is a low process procedure that results in high-quality oil. Considered the process that protects the integrity of the oil better than any other method, ram and cold pressing squeezes the oil from the meat. It is then collected in a filtering tube and undergoes very little refining. Virgin, extra virgin, raw, and/or unrefined are often used with this process to highlight that it is a very pure form of oil. This squeezes the meat and then spins it to remove whatever oil remains. There is no refining at all involved, and there will be a strong odor and taste of coconut. The expeller process pulverizes the meat to form a cake that is first heated, and it is then crushed to expel the oil. A chemical process is then involved to further remove what is left of the oil. Coconut allergies do exist but are typically quite mild in nature overall. You may find you have some slight tingling, irritability, or redness on the surface of your skin- but these symptoms are quite rare. If you do have concerns, speak with your healthcare provider and do a diluted skin test in advance with its use. 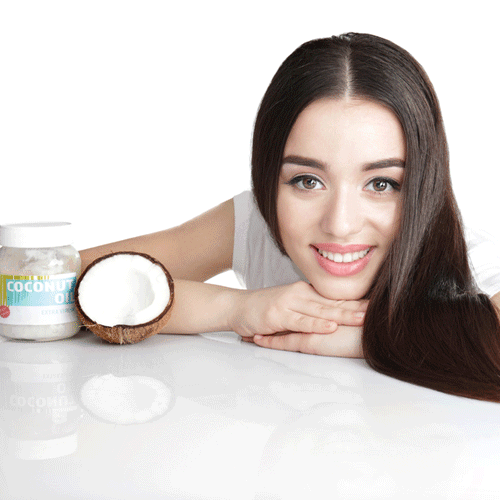 Coconut oil has many benefits and uses for hair and hair treatments. Whether used warmed up, hot as a masque, or massaged into the scalp, used as part of a rinse, or left in for an overnight treatment, your hair and skin (and head in general) will thank you for including it in your beauty regimen. It’s important to explain that it may not benefit you as it is to many. As the popularity of the oil has grown through the last decade, and the way information is shared through technological platforms, there have been reviews that instead of supporting a luxurious head of hair, a dry, brittle mess has ensued. Most issues arise when the oil is used as a stand-alone treatment, rather than as an ingredient in another product. There is a wholly scientific answer to this surprising problem, and although it doesn’t seem to affect a large number of people, it is related to the type of hair you have. Hair is porous with some hair more so than others. Low porosity hair is often already slightly dry as it already repels moisture; it is hard to get water into the strands. Since coconut oil can penetrate the hair cuticle, it is actually making it harder to get what available moisture there is from getting into the hair strand. This is why the hair can feel dry after use. Porous hair has more ability to uptake moisture. In fact, sometimes it is too porous and the moisture rushes in and out too quickly (which also results in a dryness effect). Coconut oil helps prevent the water from rushing into hair too quickly and swelling the cuticles, thus allowing it to hydrate to avoid damage. To determine if you have porous or non-porous hair as well as the types of hair care products you should consider, take a hair porosity test. These are simple and quite basic. Take a few strands of CLEAN hair (meaning free from whatever hair products) and place it in a bowl of room temperature water. Let sit for 2 to 4 minutes. If it sinks fairly quickly, you have high porosity hair, and it takes on water immediately. If it is floating 4 minutes later, it has low porosity. If it sort of sinks slowly – then it is of medium porosity. It is also important to consider any hair color you may have had applied to your hair as it also can affect your results (as well as how well it takes dye). If you typically dye your hair in drastic steps, say from blonde to black, you most likely will have changed how much moisture it is able to hold. If you have medium to high porous hair (which is the majority of people) then you will reap the benefits from coconut oil use the most. Oils are often very nourishing for the hair, and when you use one that has antimicrobial, anti-inflammatory, antibacterial, antifungal, and is highly moisturizing- amongst other things- you end up with a treatment worth using on a regular basis for any skin type. This is a gentle oil and can be used on sensitive or irritated skins for a soothing effect, making it a great choice for the scalp. Children and babies often benefit from its use due to how gentle it is. Thin, fine, and dry hair often is more affected by static and flyaways. They can make your carefully planned hairstyle a wreck and leave you frustrated even when hairspray is used. Rub a bit of oil in the palms of your hands and smooth over your hair both before and after styling to help cut static and weigh down flyaways without losing volume. One of the biggest complaints of curly hair is that is doesn’t behave the way you want it to. Using oil on it can help leave your curls more defined, soft, and moisturized in order to better control and style them. Work a good amount of oil into your hair either as a stand-alone or mixed into your favorite conditioner. It helps if you warm it in advance to help your strands as well. Either leave it for 5 to 10 minutes or wash out after application depending on what results you are looking for. This also helps minimize dandruff. Outdoors can wear on your hair, both creating sun damage through UVA and UVB rays, and drying it out. We rarely think about protecting our hair, but when you go out, you should provide protection. A light application of oil can keep your strands protected as coconut oil has a natural SPF right around 4. The protection you provide with the oil use can help provide with hydration, keeping it from drying out as easily. This extra moisturization helps keep your strands from frayed and frizzy ends. Hydrated hair is shiny hair and anything that provides moisture and protection will keep your hair looking healthy and shiny. Many people have psoriasis and eczema along their hairline or on their scalp. Both benefit from moisturizing treatments, and with the added benefits of antibacterial, anti-inflammatory, and antifungal properties, this can help clear up mild breakouts and alleviate more severe cases of the issue. 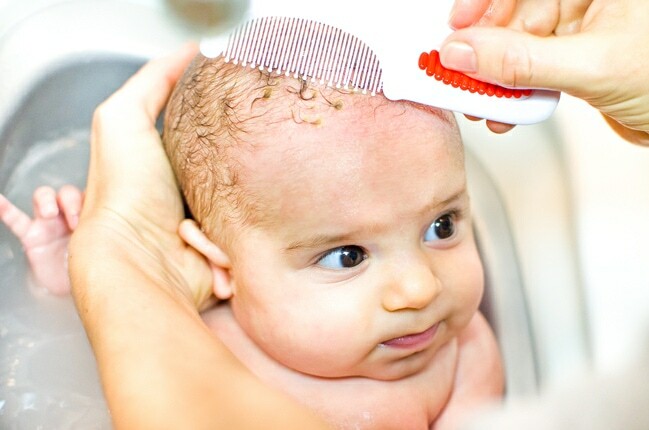 Cradle cap occurs in many babies and toddlers as skin cells build up faster than it can be expelled. It is harmless but is not nice to look upon, especially if the child has very little hair to cover it. Oil helps loosen the dry, scaly skin, soothe, and can help keep it from coming back. Because coconut oil is a natural treatment, it is very gentle for treated and colored hair as long as the hair is porous enough to take advantage of the effects (as explained above). Treated hair benefits from hydration to help seal and lock in the color to make it more vibrant and long-lasting. Your hair grows from the roots at the hair follicle below the surface of the skin. After reaching the surface, these cells are no longer alive – which is why it is so important to care for your hair and take care of the products you use and their beneficial uses. A healthy scalp can influence healthy hair growth and support. Natural hair care doesn’t come in a much more natural shape than this. 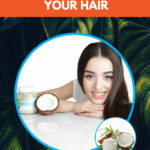 The benefits of coconut oil for hair and skin have long been proven and supported, and its use is simple to incorporate into your regular beauty care routine. As long as your hair is porous enough to take advantage of these benefit, you can improve upon your hair’s ability to hold moisture, which results in shiny, healthier, and more protected hair. This also makes it easier to style. If you do have a low hair porosity, that doesn’t mean you can’t take advantage of other coconut oil benefits. 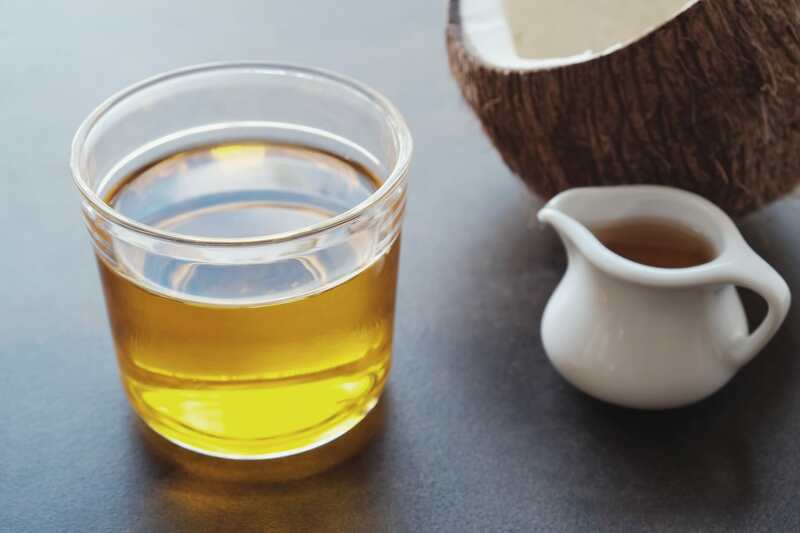 Check out our article, Benefits of Coconut Oil– for other ways to consider its use in your lifestyle, and as always, please share!